The second annual litter cleanup along the Ganatchio Trail inspired by Anne Widholm takes place this Saturday, April 13th. An avid user of the Ganatchio Trail, 75-years-old at the time, Widholm was the victim of an unprovoked attack in 2017 during one of her walks while picking up litter. She remained in coma until her passing in December, 2018. During the first evebnt ylast year, nearly 200 community members gathered to walk in her footsteps and took nearly 200 bags of garbage out of the waters and off of the Ganatchio Trail between McHugh and Riverside Drive. 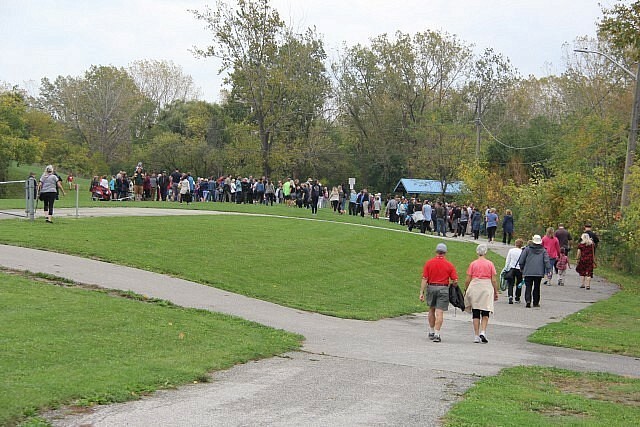 This years event runs from 10am to 1pm starting on the Ganatchio Trail at Little River Road (Riverside Kiwanis Park parking lot).